West of the Moon ATA's owner, Mr. Nick Zorn, earns his 5th degree black belt in Taekwondo under the American Taekwondo Association. OSWEGO, Ill. - July 25, 2015 - PRLog -- At age 15, Nick Zorn started Taekwondo. He had been playing baseball for the past eight years, and his neighbor at the time had been asking him to try Taekwondo class with him. After several months of asking, Nick finally agreed to give it a try, and he instantly fell in love. 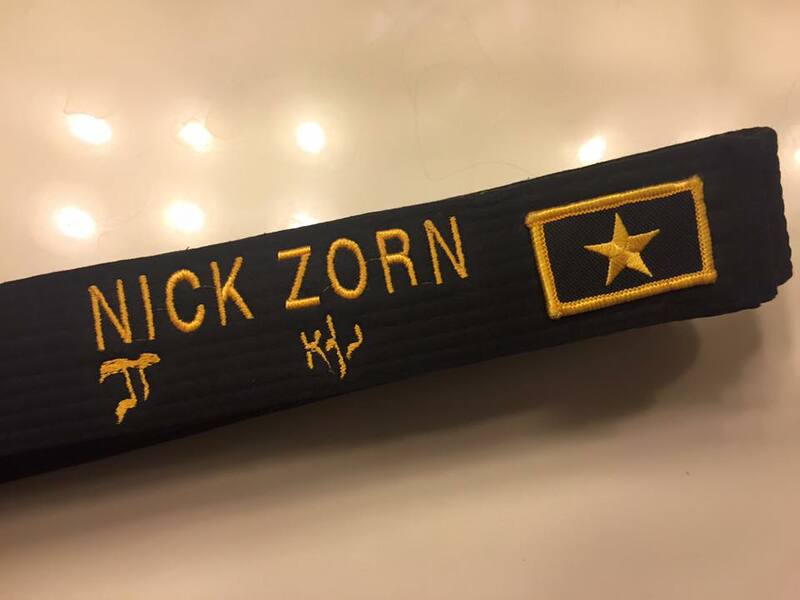 After five years of training, Nick Zorn earned his first-degree black belt. In most styles of Taekwondo, the "degree" of black belt determines the minimum time in rank a student must wait before being eligible to test for their next rank. For example, a third-degree would have to wait three years before being eligible to test for fourth-degree. To test for fourth-degree and above in the American Taekwondo Association, students must test in front of a panel of master instructors at a national or world-level event. To test for his fifth-degree, Mr. Zorn had to travel to World Championships that was hosted in Little Rock, Arkansas this year. Mr. Zorn has been teaching Taekwondo since he earned his black belt. He is the current president of West of the Moon ATA in Oswego, IL. The school is located on Route 34, just east of the intersection of Orchard Road and Route 34 in the Fathom Media business complex. For more information on classes, please visit www.oswegoATA.com or call 630-554-3009.
: West of the Moon, Inc.